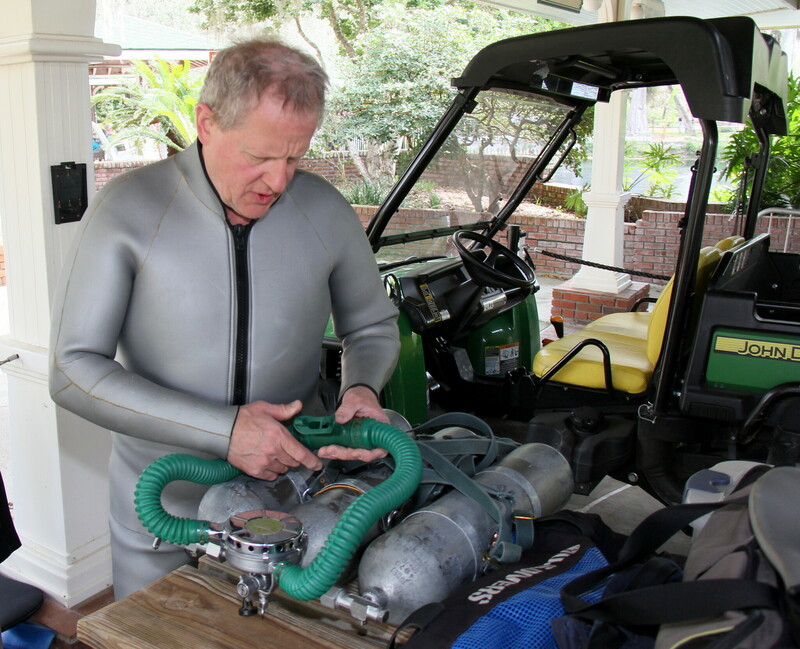 The Sea Hunt Forever divers are returning to Florida’s Silver Springs State Park	the weekend of March 2-3, 2019 to put on another underwater show in conjunction with the Florida Springsfest celebration! 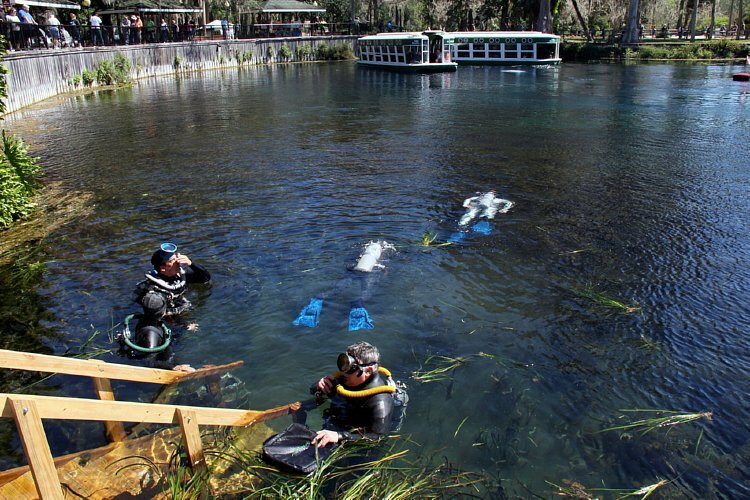 Springsfest promotes preservation of the springs through awareness and stewardship and educates visitors about the importance of Florida's springs and preservation of its history. Part of the rich history of Silver Springs are the movies and television shows filmed there over many decades - think Tarzan, Creature from the Black Lagoon, and yes, Sea Hunt. More than half of the Sea Hunt TV show episodes starring Lloyd Bridges as Mike Nelson were filmed at Silver Springs from 1958 to 1961. To help preserve and present the history of Silver Springs the divers will be acting out scenes from Sea Hunt using actual scripts from the show while being viewed by thousands of visitors on the Spring’s famous glass bottom boats. As historical re-enactors, only equipment that is historically accurate from face mask to flippers is being used. If a particular type or model of gear was not used in the original series, you won’t see it used at the show. What you will see at the show is underwater knife fights, bad guys being shot through and through by spearguns (complete with fake Hollywood-style blood packets), divers wrestling a giant anaconda underwater and sunken treasure being recovered. While the cast and crew have already been selected to fill the limited number of slots available, everyone is invited to come down and see the show. Introduce yourself to one of the cast members and we will see if we can get you “back-stage” to see the Sea Hunt gear up close. Renown Sea Hunt collector and historian Alec Peirce will be on hand with his fantastic collection of Sea Hunt memorabilia so be sure and stop by and talk to him. 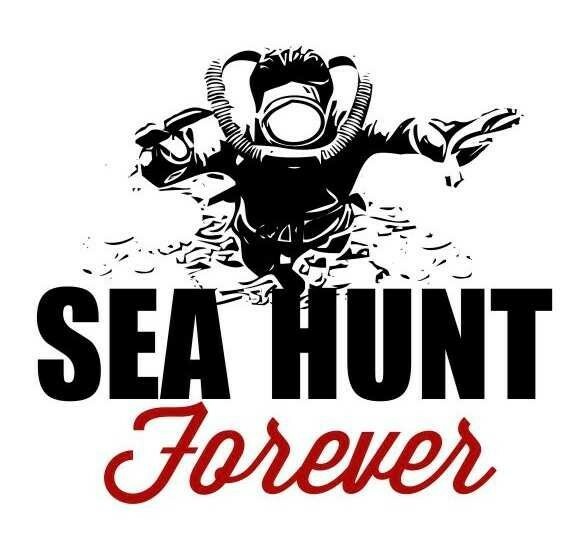 Sea Hunt Forever at Springsfest... March 2-3, 2019! - Yes this post is not about past events... This is about Sea Hunt Forevers Yet To Come! Mark your 2019 calendars now Sea Hunt Forever 2019 is March 2-3 2019! Fighting the Anaconda proved to be popular with the Glass Bottom Boat riders. The boats would follow us as we swam and the guests would watch the show through the glass. The trick is to hold the head in one hand and wave it back and forth as you swim forward. It looks like the fake snake is swimming and you are wrestling with it. Add in a couple of spirals for enhanced effect. 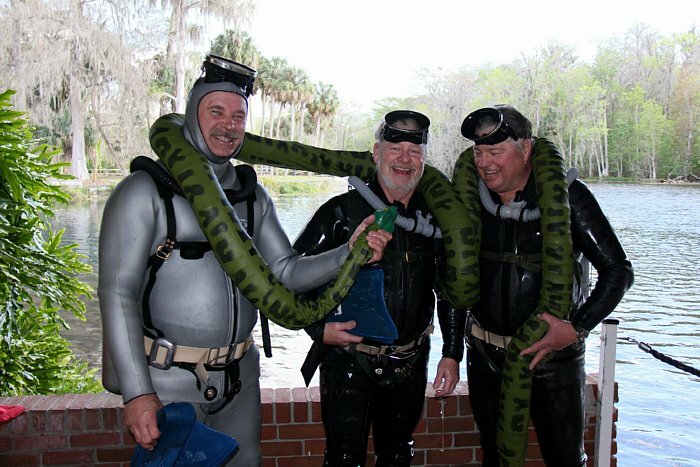 Here we see (l-r) Ron Bentz, Rich Merten, and Eben Brown, cast members at one of the previous Sea Hunt Forever shows with the fake Anaconda. FLORIDA SPRINGSFEST HAS POSTED THE FOLLOWING PHOTOS FROM THE 2017 SHOW TAKEN BY OCALA STAR BANNER NEWSPAPER PHOTOGRAPHER ALAN YOUNGBLOOD. - The Sea Hunt Forever 2019 show runs all day Saturday and Sunday (Mar 2-3) as long as the park keeps filling up glass bottom boats. The divers/cast members accomplish this by working in shifts of 30 minutes. So every 30 minutes a new group goes in and the previous group comes out. - Above you can see the glass bottom boats hovering over the diving cast members in the show. And in the foreground you can see the next shift of divers heading out to take their turn at entertaining the park guests. In between 30 minute shifts, the divers re-fill their tanks, grab a bite to eat, or mingle with the crowd in full gear! WHERE ELSE CAN YOU SEE DIVERS REGULARLY DIVING TRIPPLES? COME SEE THE REALLY COOL SEA HUNT GEAR AT THE SEA HUNT FOREVER SHOW! - All of our Vintage Diving tanks have to be up to date on their hydro testing and visual inspections. - Tanks must have original style harnesses as seen in the Sea Hunt episodes. - We all have to dive smoothskin 2-piece wetsuits with beavertail. Many had to have them custom made. Mine came from ElioSub in Italy. - All of our double hose regulators have to be in perfect working condition and cannot be anything that didn't appear on the Sea Hunt TV show. - Masks have to be round, not oval. - Fins... Most will be Voit. Some will be Churchill. - Weight belts... White cotton, 2 inch webbing with wire quick release buckle. - Weights must be the rounded edge type. - Knives made of rubber or plastic... For knife fights, etc. - Watches should be Rolex Submariner... Or something similar looking! - Gauges: Sportsways depth gauge, Voit or Taylor compass.